The National Broadband Network (NBN) is in dire trouble and has reached the point where Julia Gillard should declare a national disaster. By doing so the government would be able to utilise constitutional powers to immediately effect changes to NBN Co and bring forward legislation necessary to prevent the situation worsening. Identifying a leader capable of bringing Australia through this emergency should be the federal government’s highest priority. General Cosgrove, the nation needs you one more time. Two recent events have taken NBN Co to the point where any reasonable unbiased person would be picking up the phone and dialling 000. At an American Chamber of Commerce event last week, the head of NBN Co Mike Quigley said he would support an industry study to determine the best way to build the NBN – reportedly because he “is trying to bring an end to the debate in the lead up to the federal election". The debate, for anyone who’s missed it, centres on the different sorts of technologies that are – or could – be used for the NBN: fibre to the premises (FttP), fibre to the node (FttN), hybrid fibre-coaxial (HFC), fixed wireless, and satellite. The support by Quigley for a study by the Communications Alliance – the primary Australian telecommunications industry body – should be seen as an admission of the chaos surrounding the NBN. the most bizarre twist yet in the debate over broadband policy. Even more bizarre because Mr Quigley has made the announcement without obtaining the agreement of the Communications Alliance to commission the inquiry. Turnbull took the opportunity to twist the knife placed in Communications minister Stephen Conroy’s back by calling on Quigley to provide a reason why he – and not Conroy – proposed the study. NBN Co’s Board Chairman Mr Harrison Young should make a public statement of Board–level support for Mr Quigley’s position – and if this is not forthcoming, further questions should be asked. The second event that forced the tipping point was the NBN Co letter sent to the Australian Competition and Consumer Commission (ACCC) on February 15. If the base case assumptions [a set of assumptions based on a low customer take-up rate and low ongoing customer base] in the 2012-15 Corporate Plan are modelled, the ICRA [initial cost recovery account] would not be extinguished by 2039-40. What this means is that NBN Co’s 2012 business plan is based upon an upbeat assessment rather than the more pragmatic base case assumptions outlined in Lovell’s letter to the ACCC. Such a flip-flop from NBN Co does nothing to engender confidence that NBN Co is able to build a business successfully, even if this includes a predicted subsidy by the Australian tax payer. For NBN Co to make a case for no subsidy to be required from the Australian tax payer at a time when the NBN roll-out is proceeding at a glacial pace and deadlines are not being met is, at best, disingenuous. There is every indication that taxpayers will be required to provide billions to bail out NBN Co. The factors listed above are likely to be the focus for any study carried out by the Communications Alliance. But there are others. Current legislation prevents the NBN being used to provide a wholesale connection to anything that is mobile. The NBN satellites are the most suitable means available to provide wholesale data connections to planes, long distance trains, interstate trucks, camper vans, fishing boats and so on. The federal government is refusing to assist outback towns that want fibre even when the local shire is prepared to contribute towards the installation cost. NBN Co selected a passive optical network (PON) (one that brings optical fibre cabling and signals most of – or all – the way to the user) technology for the fibre roll-out which is a fibre-based shared access approach (you could say it’s an updated HFC cable system). In the US, Google decided to utilise active Ethernet for a fibre roll-out in Kansas City. Active Ethernet provides each customer with their own dedicated fibre (similar to how every Australian household now has a dedicated copper connection). The cost of fibre has fallen dramatically in recent years so NBN Co’s decision to utilise PON will now come under the spotlight. 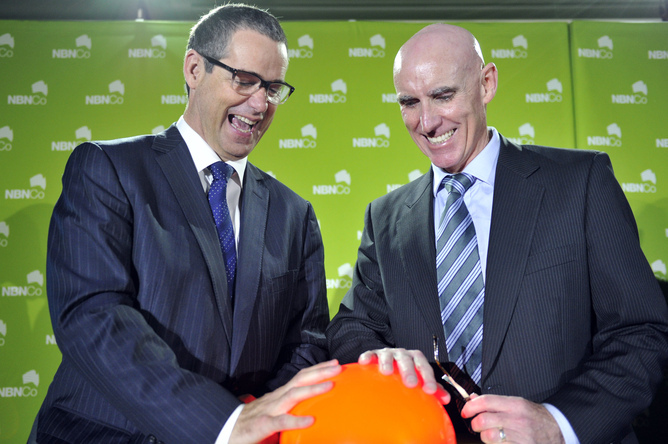 The decision by NBN Co in 2010 to identify 14 Points of Interconnect (POI) (where retail service providers connect to the NBN) was quickly overturned by the ACCC after an industry outcry. NBN Co’s original plan to have two redundant POI in each of the seven capital cities highlighted the difficulty that NBN Co has had with network design. A lack of consultation and a one-size-fits-all approach to network design has left doubts over the NBN network design. The decision by NBN Co (or the government) to utilise individual suppliers for key components of the fibre roll-out confounds logic. The fibre network is to be rolled out to 93% of the Australian population, which means between five to eight million premises. The decision to only utilise one supplier for the fibre and one supplier for the PON equipment provides an opportunity for suppliers – knowing there’s no competition – to inflate costs over time. By making the decision to utilise sole suppliers – with no imperative to meet delivery deadlines – for key components in the fibre roll-out, NBN Co has taken on an unnecessary and unwarranted risk. Turnbull stated in August 2012 that a coalition government would reconsider the government ban on Huawei providing fibre network systems. The decision by NBN Co to utilise contractors for the fiber roll-out was always doomed to failure. NBN Co cancelled a network construction tender in April 2011 after months of negotiation because talks broke down with 14 suppliers over price. What followed was unsettling, to say the least. NBN Co negotiated directly with a small pool of network construction companies and awarded contracts based upon the closed negotiations. 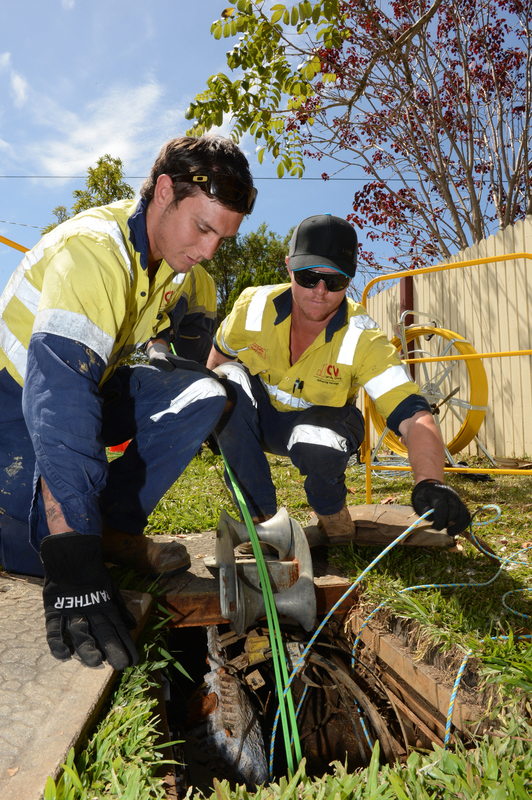 The result was the admission by NBN Co last week that not one customer has been connected to parts of the NBN fibre optic network in the past two years in Western Australia, South Australia or the Northern Territory. Due to delays around the country, Quigley stated at a Senate hearing earlier this month that NBN Co has revised its target of passing about 300,000 homes by June this year down to about 286,000. In October 2011, NBN Co released a 12-month roll-out plan stating that construction work was set to start in 28 new locations covering 485,000 premises. In August 2012, NBN Co slashed roll-out predictions, blaming the slow pace of negotiations with Telstra over the fibre roll-out utilising Telstra’s infrastructure. An even more sobering result is that, by the end of 2012, the NBN was rolled-out past only 52,014 premises. Turnbull is right when he says the pace of the NBN roll-out is too slow. But his plan to speed things up by by utilising HFC and fibre to the node is misguided. Sadly, the government’s actions through legislation and the structure and management of NBN Co has been equally misguided. Right at the beginning of the (ultimately brilliant) plan to create an NBN based upon a fibre network there should have been the realisation that legislation needed to be drafted that was in the nation’s best interest and the fibre roll-out needed to be completed within five years. The NBN dream is fast turning into a nightmare and drastic action is required. The government should declare a national emergency and set up a national emergency response team. NBN Co Board and senior management team should be replaced by a retired army general (Cosgrove?) with appropriate support staff. This will ensure the nation has confidence in the person being asked to complete the NBN. NBN Co should set up a network construction subsidiary with the goal of becoming operational within three months. NBN Co should cancel the existing network construction contracts as NBN Co network construction teams come online. 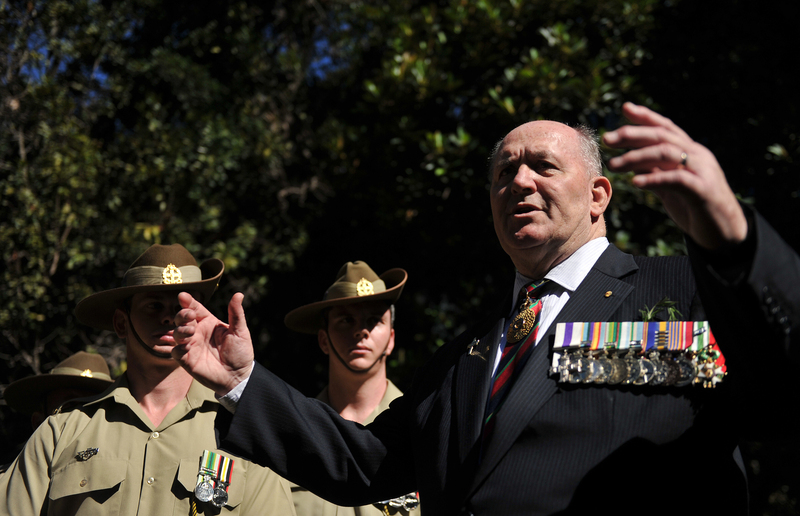 The army should assist with the development of the network construction subsidiary and ensure the NBN roll-out plan targets are doubled in the first year and in every year thereafter so that the roll-out is completed in five years. The NBN legislation should be redrafted and passed through parliament in a bipartisan move to remove the clauses that hinder the NBN to the benefit of existing carriers – principally mobile carriers and satellite providers. At least two suppliers should be identified and commissioned for all aspects of the NBN. An independent review should be carried out of all aspects of NBN Co. This should be conducted at a distance to prevent further delays to the roll-out. The review report should be tabled in parliament before the September election. The NBN is the single most important project this nation has undertaken since the Snowy Mountains Scheme between 1949 and 1974. The future of this nation hinges on the successful and timely deployment of a future-proof optical network that benefits all Australians equally.